Trevor Bayne spent his first week of married life in Iowa, watching the rain fall, and fall, and fall. 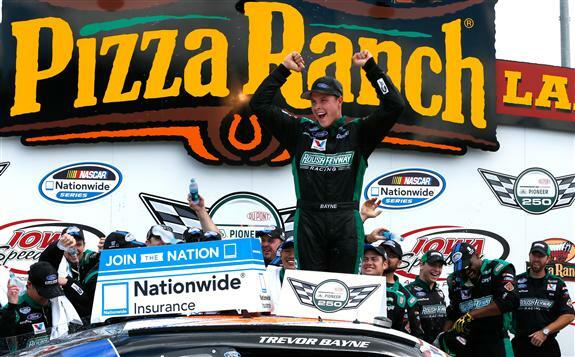 But on Sunday, the rain stopped, and Bayne found himself in victory lane at Iowa Speedway for his second career Nationwide Series victory. Relive The Best Moments of the 2014 NASCAR Season. Click Here!